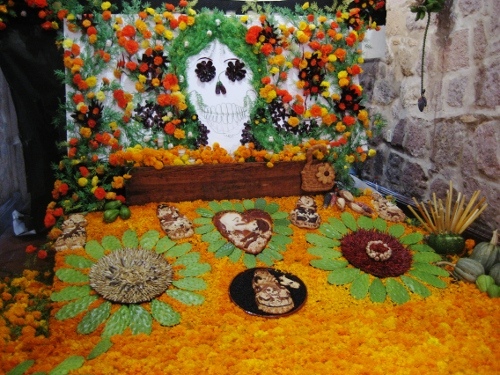 Dia de Muertos altar in Queretaro, Mexico. I think I’ve lost some of my holiday spirit. 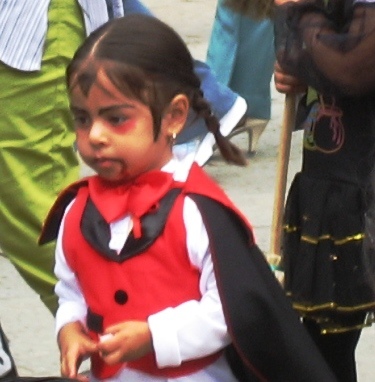 At one point in my life, I lived for the end of October: halloween parties, dia de los muertos, ofrendas, costumes. Friends and I would gather and spend months making decorations for our celebrations out of paper mache, papel picado and designing graphics for our party invitations. Lack of time and money combined with the commercialism of dia de los muertos have all contributed to my lack of enthusiasm these days. 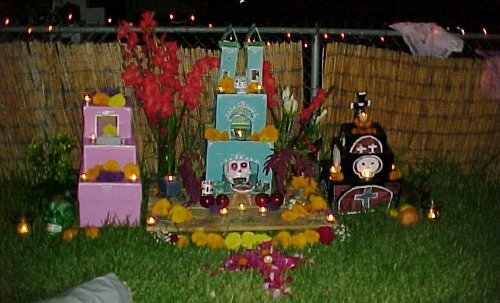 The DIY element of dia de los muertos had always appealed to me. Now you can go into any old boutique, Target for that matter and come across some Mexican-looking calavera. No, thanks. 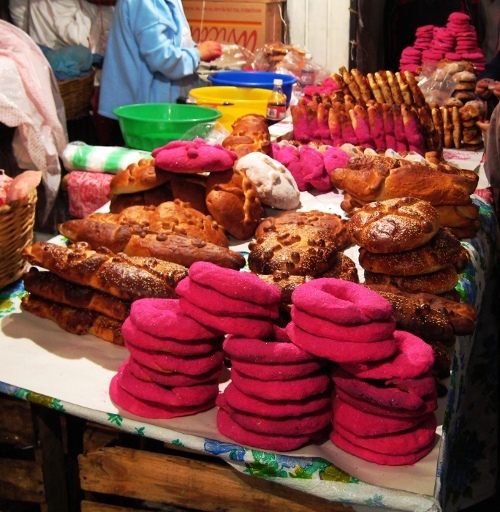 These pictures I took last year in Mexico are examples of what can be done with just simple everyday objects. 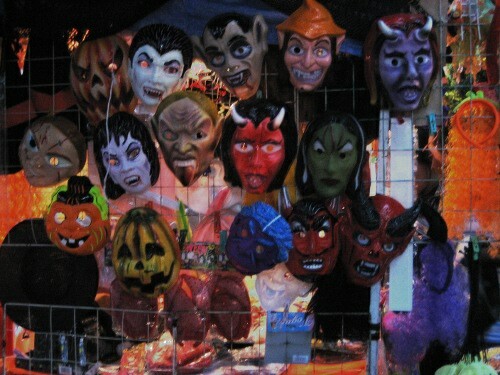 Halloween and Dia de los Muertos related posts from the past. 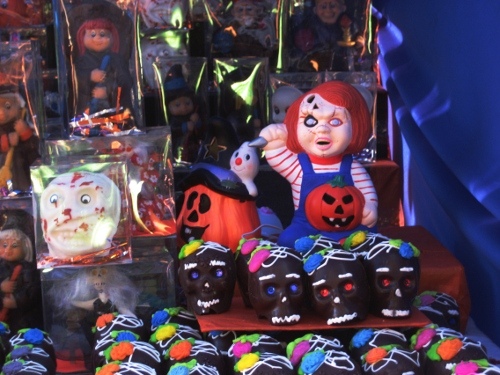 Halloween’s gruesome influence on dia de muertos stalls-El Choki! My grandmother and great-grandmother’s headstone, Montebello. Have fun tonight, you ghouls! 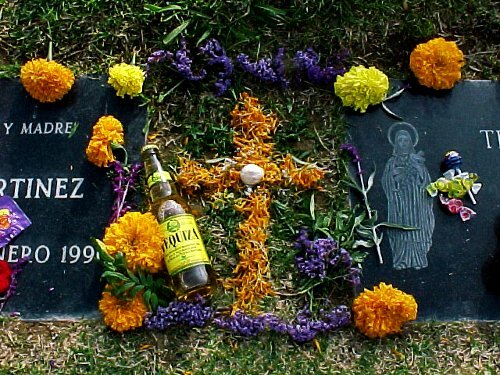 I never celebrated Día de los Muertos growing up. We definitely celebrated Halloween. 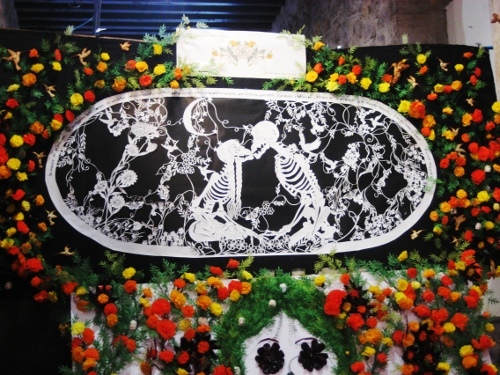 On the first of November, we observed All Souls Day. That was it. We never made an altar or any such thing. I still don’t observe it much. Last year felt weird, especially after a family member passed away on the 31st of October. I found out the next day just after leaving a DoD event that was way too commercialized. I love the classic imagery associated with DoD and I like art, dressing up, fun makeup, parties and shopping. But all that seems to overshadow the tradition. Then again, it’s nice to see the community come together.